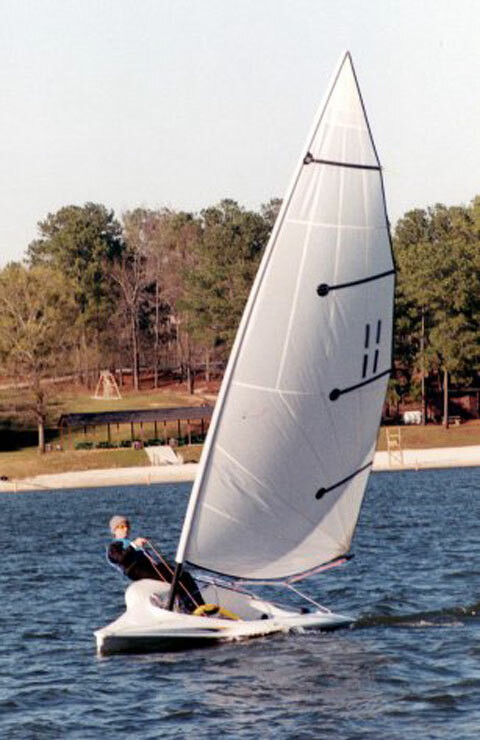 This is the famous Raider 16 racing sailboat. 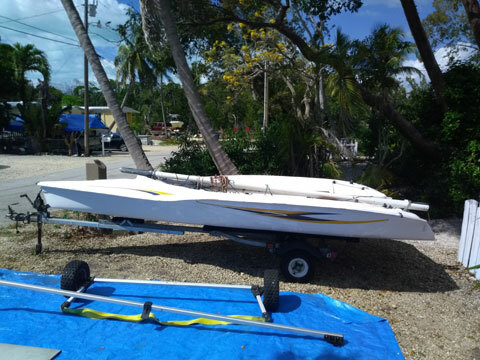 2003 and includes aluminum beach dolly, trailer, sail, rudder, centerboard. "We wanted to keep it simple and affordable in construction and easy to sail for all sailors to enjoy the sport regardless of skill level. 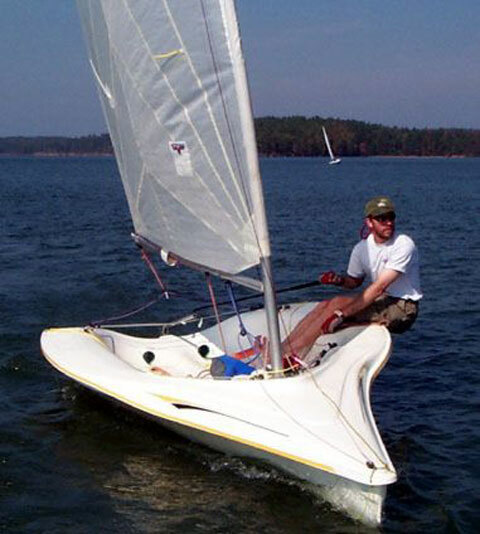 The Raider is easily controlled and has strong windward performance in a breeze. Off the wind, the performance is exceptional. The cockpit was designed to be spacious and comfortable, so taking your favorite crew along is no problem. 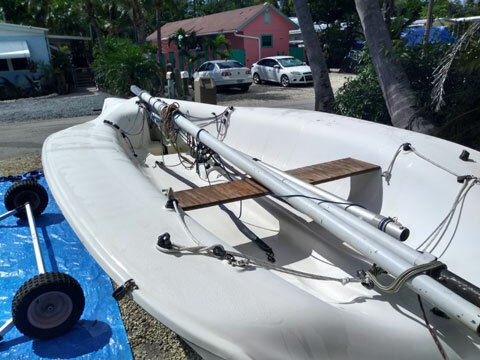 We added a built in cooler and storage to enhance daysailing activities. In the development stages we soon discovered that even a group of pre-teens with proper training and supervision can easily enjoy an afternoon sail in the Raider (they won't want to bring it back!). With the wide beam and the ample flotation at the beam ends, the hull has proven to be extremely stable and will self-right from a full knockdown. We have only been able to demonstrate that feature thus far by purposely tipping the boat on it's side using the mast as leverage. Our testing and beach launching in the surf at Daytona Beach proved to be very successful and the oversized cockpit drain tubes very effective. We elected to retain a full transom as an integral part of the hull and deck design to offer greater structural integrity and security for the crew. The free standing rig was designed to be user friendly and has a powerful sailplan. Rigging on the beach, on the water, or on a trailer is easy even for a small person. High quality stainless hardware and premium line are specified. The laminate schedule calls for bi-axial E glass and high quality marine grade resin and gel coats throughout. The generously curved lines of the hull and deck sections eliminate high stressed areas to keep the attractive appearance of the Raider looking new and preserves the value of your purchase for years to come."